Over at the Savage Minds blog, Alex Posecznick has been writing a thought-provoking series on “Anthroplogists as Scholarly Hipsters.” You should go read it (I’ll wait), but at the core of the series is this comparison between the hipster, who holds that “as soon as non-hipsters have heard of band X it is no longer superior to band Y,” and the anthropologist, for whom “discovering powerful theoretical lenses (the equivalent of the next great band or fashion) produces cultural capital…but jumping on the bandwagon too late can be labeled cheap opportunism.” I think his diagnosis is fairly accurate, but it got me thinking about what geeks might have to offer in this conversation, and I think that it has to do with the ironic. Irony plays a major part in hipster identity, and Alex has acknowledged this, but as byrdmcdaniel, a commenter on part four of the series, suggests, there might be more discussion to be had in that area. I’ll be following Alex’s lead and starting with some definitions. So there’s this difference between “hipster” and “geek” that has to do with enthusiasm and investment on the one hand and irony and detachment on the other. This might be part of the reason that so few people self-identify as hipsters, not just because it has negative connotations, but part of what we mean by “hipster” is someone who refuses to invest themselves in that act of self-identification. 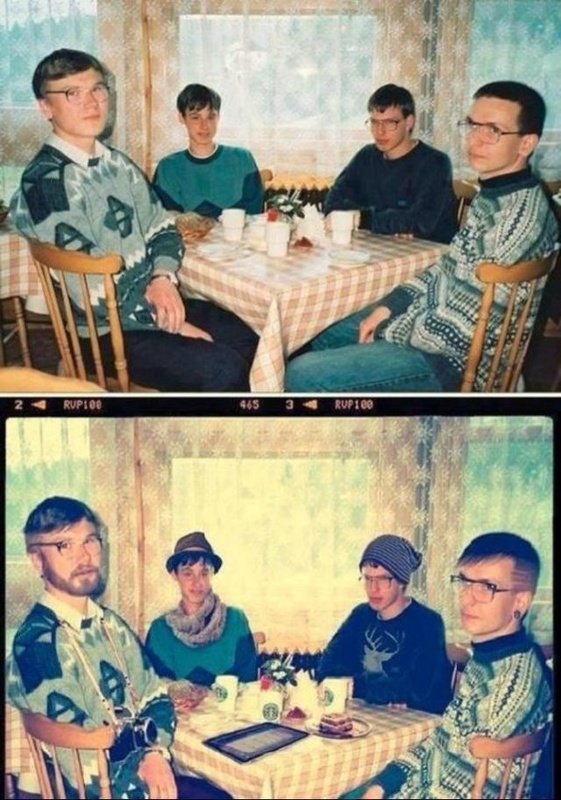 To identify as a hipster is already to express too much enthusiasm for that identity. 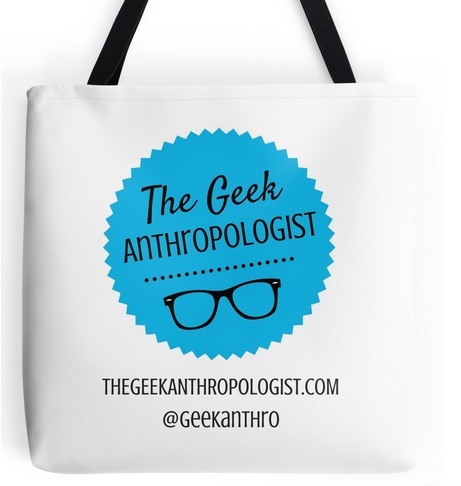 I’ve been tossing out the idea of a geek anthropology (where geek is the mode, not the subject) since my first post on the blog, and I’ve never really delivered on it, except hopefully in the sense that my videos might demonstrate some of what I think I mean by that. In the next few posts I’ll be taking another stab at that, trying to lay it out a little more clearly and also to relate it to some of the problems identified in Alex’s posts. That “infographic” is a wee bit confused. It doesn’t interrogate the social-class origins of most geeks (as it does with hipsters). I would say (although I can’t back it up empirically) that middle-class origins are a central point of both subcultures, and that both are vehicles for predominantly middle-class cultural values (cosmopolitanism, exoticism etc.) It’s easier to associate these with the hipster, but what about the otaku? It might be interesting to compare the geek v hipster contrast drawn here with the modern v postmodern contrasts drawn, for example, in Frederic Jameson’s _Postmodernism, or the Cultural Logic of Late Capitalism. I think, in particular, of the argument that obsession and hysteria are characteristically modern syndromes, while the postmodern is schizophrenic. This view of the postmodern seems to me a good fit with your description of the hipster; but the geek is not simply a return to the modern. The geek’s obsessiveness resembles modern enthusiasms, but seems to me to lack the concern with historical and temporal depth characteristic of, say, Freudian psychoanalysis or Hegelian/Marxist history — in both of which the search for “deep” roots of current issues dominates. From this perspective, the geek looks like a transitional or mediating figure, combining the enthusiasm of the modern with the pastiche/bricolage of the postmodern — a combination made possible by the Internet and atemporal, synchronous access to information from all sorts of times and places. But at my age, now approaching 70, I could be totally out of it. the old….But it is essentially a more deliberate and self-conscious orality” which electronic culture makes possible. In this secondary orality, the line between spontaneity and deliberateness is blurred, maybe playfully. Geeks similarly play with the lines between irony and genuine obsession, real and unreal, belief and unbelief. Throw in critics of postmodernism, who argue that the “postmodern condition” is actually most characteristic of the contemporary middle-classes, and mix it with a bit of the “cultural omnivore thesis” and I think you’re onto a winner. I think the idea of hipster engagements with the past and other cultures as inherently superficial, shallow etc. is one we should be wary of, as it’s a judgement made by people from the outside without actually having a dialog on the subject. I’m pretty sure people said similar things about white punks forays into reggae etc.